History was made today, and not the good kind. 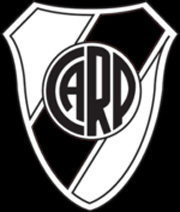 After 102 years of first division football, River Plate have been relegated to the Nacional B, Argentina‘s second division. Today, I became “one of those fans”. The kind whose team just got relegated, whose goal now is merely to get back to what they once were, rather than in striving to be the best. The kind who are caught crying in the stands at the sheer helplessness of watching your team fail utterly. I used to admire those fans. I really did. Sticking with your club through the worst of times is a measure of a true fan. It’s easy to love when everything is going well. There is no truer test of love that finding it in your heart to still care when things are at their worst. Now that it’s actually happened to me, though, I never want to feel this way again. Don’t get me wrong. I’m still a fan of River Plate. I will always be a fan of River Plate. I saw someone on Twitter say they would still be a fan of River Plate if they were on the Z Division instead of the A or B. I couldn’t have put it better. But the nagging feeling at the back of my mind won’t go away. That’s the feeling that we haven’t quite hit bottom yet. The institutional crisis that the club has been suffering from years now is not over, and this situation may only exacerbate it. The club debts are still there, estimated at nearly US$70 million, and shedding big salaries will not remove it. River Plate received $30 million in TV rights in the first division. In the second division, it’s closer to $3 million. Sponsors such as Petrobras and Tramontina (both currently on River Plate’s kit) will, I hope, have paid their sponsorships in advance. If River Plate doesn’t return to the first division quickly, those sponsorships may dry up. I’ve always derided lower division clubs in Argentina for having so many sponsors on their kits that the club colours were barely visible. Now, I may see River Plate’s gloriously historic and iconic kit covered up with ads for bus travel companies and biscuit manufacturers. They will have to sell players to bring in revenue. Goodbye Juan Pablo Carrizo and Mariano Pavone (but then you were already going, being on loan), goodbye also to burgeoning 18-year-old star playmaker Erik Lamela (enjoy Italy, but I have a hard time seeing you a get too much playing time in Serie A until you bulk up a bit). Goodbye, hopefully, to Rogelio Funes Mori, the forward once rumoured to be going to Benfica for $12 million, and now probably not worth even a tiny fraction of that, due to a complete lack of production up front. Then again, they may keep Funes Mori, since he may be suited more for this level than the first division. And there’s part of the problem, because if River Plate wants to immediately return to the first division, they must add players. Player sales must be made to try to keep paying the debt, but they must also fund new player purchases. Those purchases will most likely be B-class veterans who can help River’s talented youngster manage the much more cutthroat world of the lower divisions. The street scenes outside the Monumental stadium post-relegation were even more depressing, as part of the spectators – forgive me if I cannot bring myself to call them fans, because their actions have nothing to do with football — proceeded to not only cause damage and destruction to any structure in their path but also exacting an unacceptable human toll. The number of wounded as I write this is 89, including four policemen in serious condition, one of whom was run over by a car. These disgusting actions, along with the fact that there were at least 10,000 more people in the stadium than there should have been have resulted in the closure of the stadium for 60 days. In four weeks, that stadium was to host the final of the Copa America, the South American championship. It remains to be seen whether or not that will be played there or elsewhere. Sadly, in a way, I can never be like those fans whose teams get relegated. Because their sorrow, while real and inconsolable, is nevertheless managed with acceptance, in many cases, even dignity. There is no dignity for me in River Plate’s relegation. The club’s corrupt and incompetent directors, its violent barrabravas and their unacceptable actions have left me even without that. This should be a time to put the past behind us and focus together on the future of the club, on regaining the passion and skill that saw River Plate become the top club in the world just 25 years ago. Instead, we may be on the verge of coming apart forever as an institution.